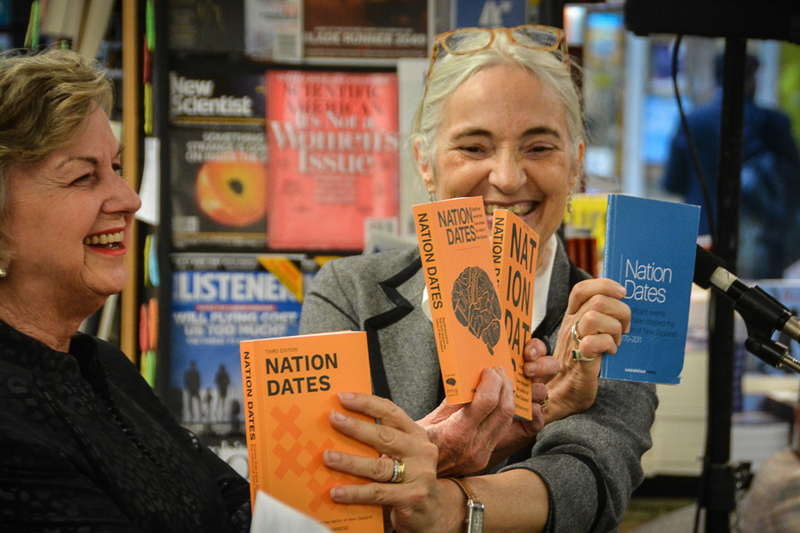 Unity Books was glad to welcome the McGuinness Institute to launch the third edition of Nation Dates on Thursday 2nd November 2017. 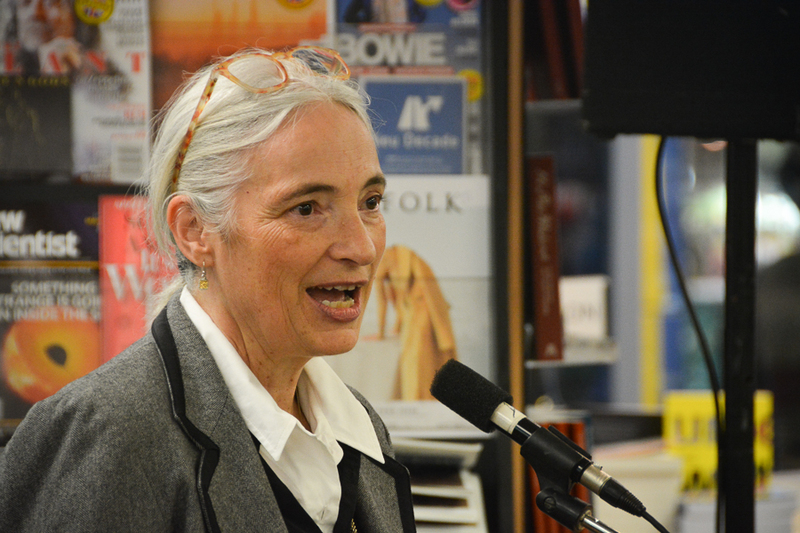 Dame Claudia Orange officially launched the latest edition of the McGuinness Institute’s comprehensive timeline of New Zealand history. 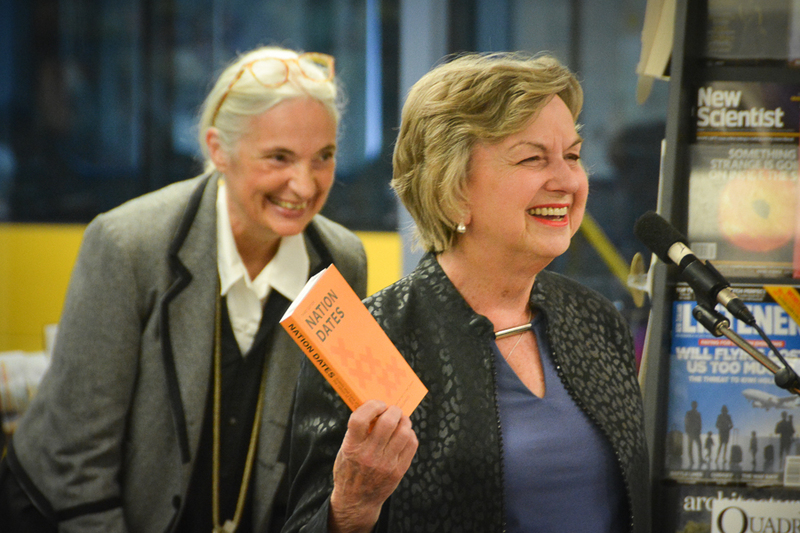 Dame Claudia spoke admiringly of the commitment and passion of author Wendy McGuiness, who in turn celebrated the work of her production team, who were on hand to raise a glass to the completed project. 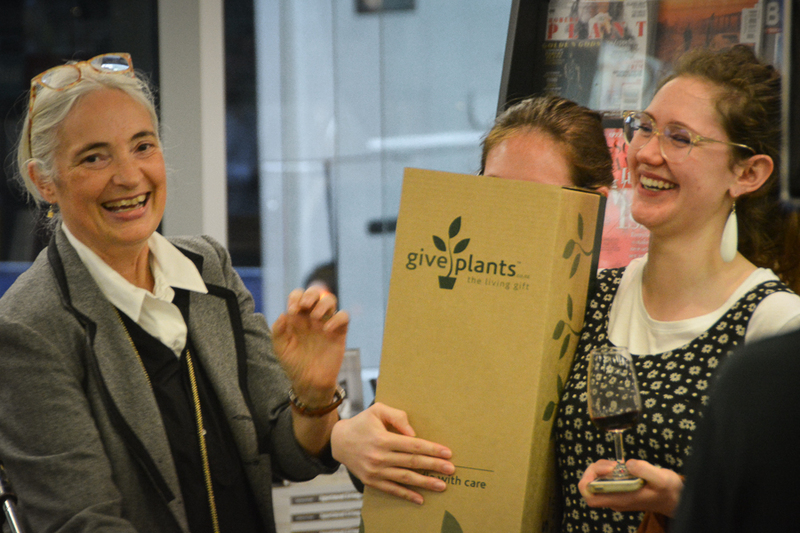 In a nod to sustainability, the production team were presented with Kowhai trees in deference to the volume of paper consumed by the production process. 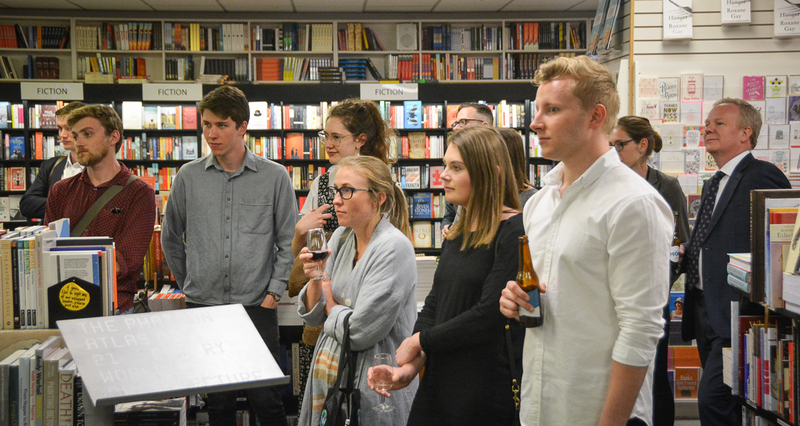 Cover designer Ashley Brown was joined by other members of the Whitireia production team. 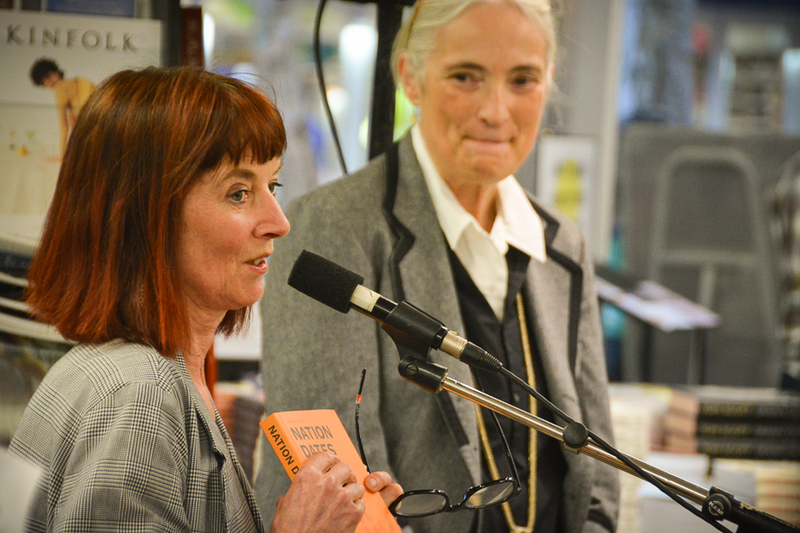 Dame Claudia Orange and Wendy McGuinness have their dates in order! 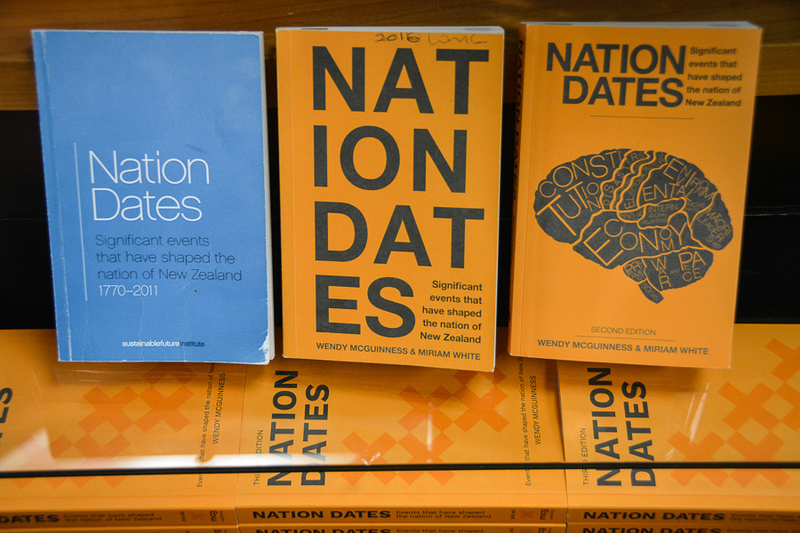 The production team took their Kowhai trees off to do their bit for the environment. 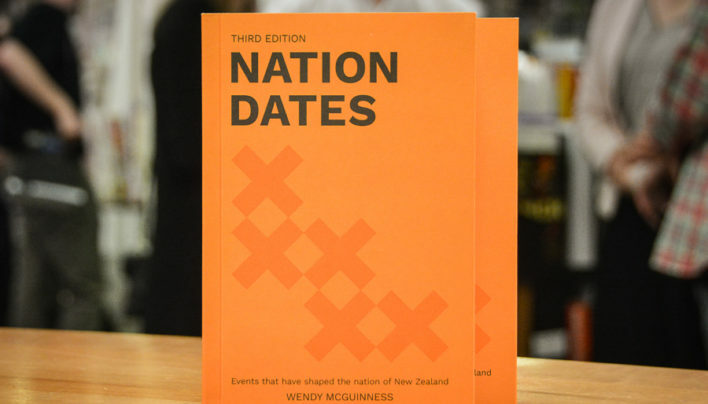 Dame Claudia Orange launches Nation Dates 3rd Ed. 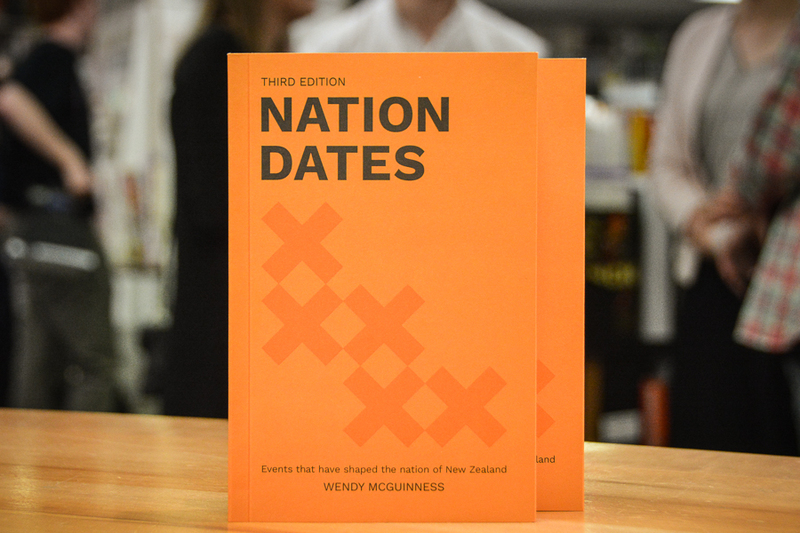 Nation Dates (3rd Ed) by Wendy McGuinness is available in store and online at Unity Books now.